Kenya Pipeline moved to the top of Group C after their straight sets win over Rwanda Revenue Authority at the ongoing Africa Women Club Championships. 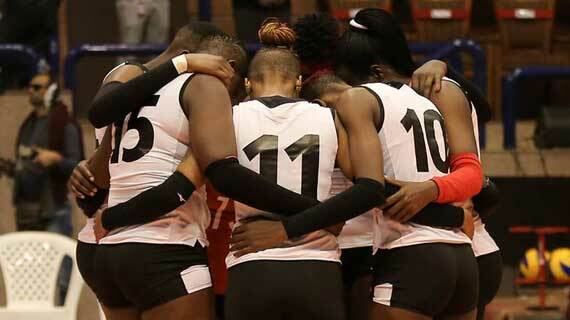 Kenya Pipeline and Kenya Prison on Sunday picked crucial wins to move to the top of their groups at the ongoing Women's Africa Volleyball Club Championships at Ahly Hall in Cairo, Egypt. Captained by Kenya International middle blocker Trizah Atuka, six-time African champions Pipeline ran over neighbors Rwanda Revenue Authority in straight sets of 25-19, 25-19 and 25-15 to move to top of Pool C with three points same as Cameroon's FAP. Despite late arrival in Cairo, Kenya Prisons defied all odds to beat Asec from Ivory Coast in straight sets. In pool 'B,' Carthage of Tunisia clobbered Egypt's Sporting 3-0 (25-11, 25-23, 25-21). Kenya Pipeline will be resting on Monday and Kenya Commercial Bank finishing their two-day recess the same day to both return in action on Tuesday. Kenya Prison will be in a pool 'D' action on Monday against neighbours Nkumba University from Uganda.